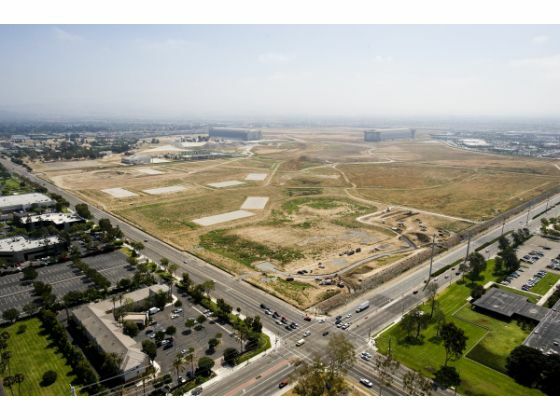 Regional park plan includes a water polo and ice hockey rink on the former Tustin Marine base. 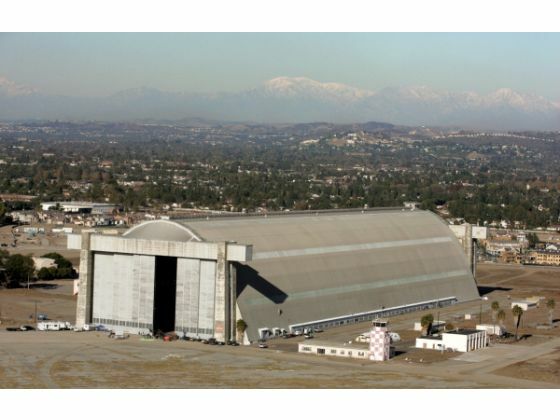 TUSTIN – The Orange County Parks Commission has approved a plan for the land around the north Tustin blimp hangar to become a regional park. The hangar would be restored, and the surrounding 84.5 acres could be transformed into park space, with picnic areas, walking trails and fields. The commission voted unanimously in favor of the plan Thursday night. If it is approved by the Orange County Board of Supervisors, the park could open as early as 2016 with construction starting in 2014. The board meets next on Jan. 24. “I think this is a really exciting plan we have in front of us and very unique opportunity,” said O.C. Parks Commission and Mission Viejo City Council member Trish Kelley. The county parks department will work with the finance office to develop a plan for funding the park, which could cost $69 million to build. The park designs have large lawns, with trees lining the trails around the park, a lake and expansive fields. Playground and picnic areas would be open to the public, and a plaza could be built at the base of the North Hangar for outdoor activities like a farmer’s market or art shows. Five areas have been marked for parking spaces. The site is almost dead center in the middle of Orange County, said O.C. Parks Director Mark Denny. “Interestingly, this is as much a historic park as it is a regional park,” Denny said. The county plans to reopen some of the old buildings for new uses, such as the classroom building, built in 1988. The building now is hidden in a grove of large trees near the hangar. O.C. Parks could use the space as a park headquarters or a multiuse space, officials said. The building next to the air tower could be used for a history museum. The federation would be organized by the USA Water Polo and with the Anaheim Ducks Foundation would run the water polo and ice hockey complex, reports state. “On the frozen water side there’s potential for hosting our own professional hockey team, the Ducks, as well as having all the facilities open to the public for recreational use (and) sports teams,” Denny said. 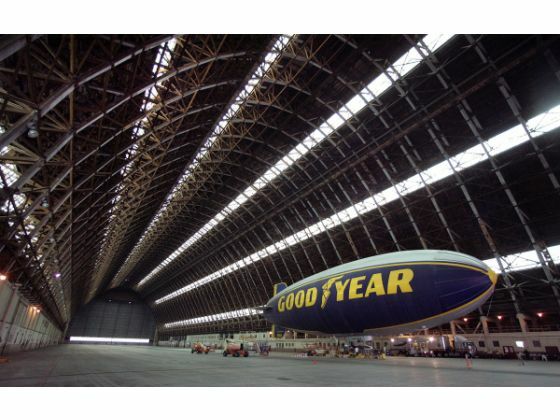 The blimp hangar, Denny said, has “been a very successful location for movie studios to use.” The county would continue renting out the 5 ½ acre hangar. In 2010, the Department of the Navy made $430,000 in revenue from television commercials and blimp use, reports state. The annual maintenance, operation and repair costs for the park are estimated to be $400,000, reports state. 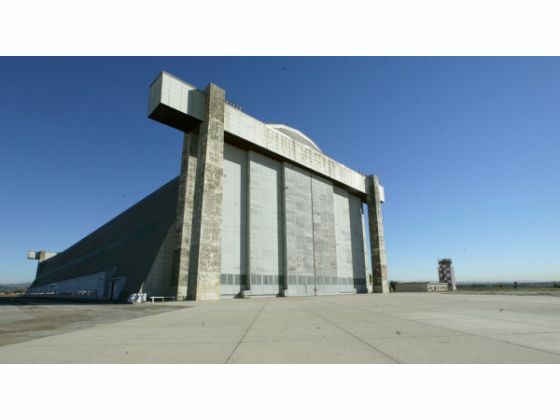 The estimated construction costs are $53.4 million with $21.3 million in hangar repairs and upgrades, and $31.3 million on park improvement costs including a 25 percent construction contingency. Architectural improvements make up the majority of the hangar costs at $12.1 million. When you add in fees and costs of planning, environmental and design services, project management, construction management, inspection and local agency fees, the total project cost comes in at $69 million. Once the park has been built, officials estimate annual operation and maintenance would cost $1.7 million, including $400,000 to maintain the hangar. Staff reports show that bonds could be used to pay for developing and building the park. Fees from renting out park space and the hangar could recover some of the money. The civil engineering and environmental services firm Tait and Associates was hired in December 2010 to create the conceptual site plan and create a technical and cost analysis of developing the site. The company’s contract with O.C. Parks is for $243,320, officials said. 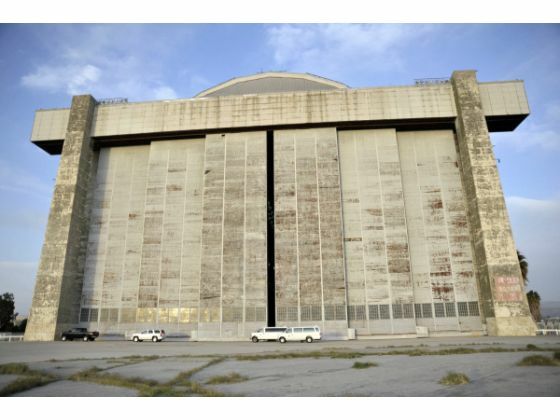 The hangar on the former Tustin Marine base is 17 stories tall and was built in 1942 to house blimps in World War II. The hangar also has housed helicopters. It is owned by the Department of the Navy, but if plans for a regional park are approved the Navy would transfer the land to the county. No timeline has been set for the land transfer. 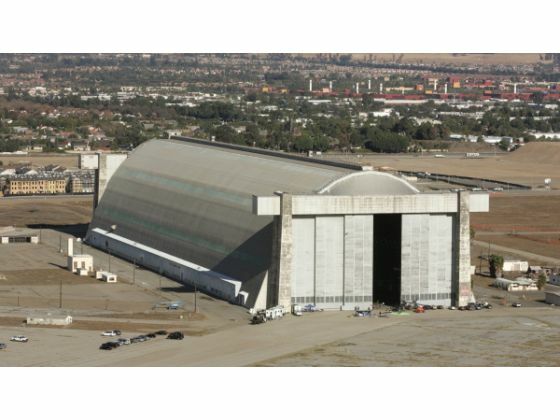 2 wooden hangars were built on the former Tustin Marine base. 3.5 million people live in Orange County. 5 ½ acres are taken up by the North Hangar. 9 months total construction time for the North Hangar. 15 acres surround the South Hangar. 1942 is the year the hangars were built. 1978 is the year the hangars joined the National Register of Historic Places. •Each hangar cost $2.5 million to build and is about 1,000 feet long, 300 feet wide and 178 feet high. •Construction on the first hangar began in October 1942 and ended in July 1943. The second hangar was started in December 1942 and finished in September 1943. 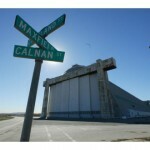 •A half-hour documentary on the blimp hangars was finished in September 2010. 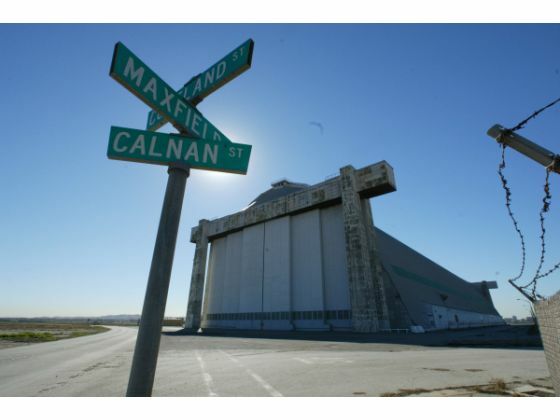 “The Tustin Hangars: Titans of History” chronicles the hangars’ construction and use.